Donald Trump is Good for Something! Just Decide! Make a Decision! Is This Deep Enough? Beggar collects money and then GIVES. People’s image of me is unimportant. 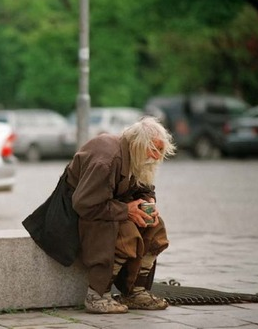 A 98 year old Bulgarian man has spent most of his days and has spent most of his life begging. For years. Dobri Dobrev has walked more than 25 miles from his village to the city of Sofia. Day in, day out he had his hand out looking for money. He is seen as a nice man. 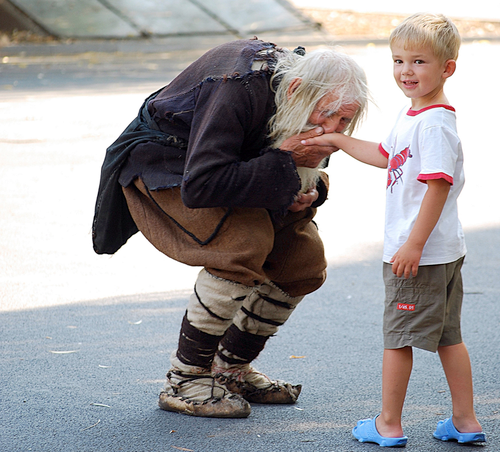 In the city, the old man is noted for his kindness, his pleasant smile and meekness. He not slowed by bad weather. He doesn’t get bogged by that people may be judgmental or have a negative opinion of him. He just keeps begging. He just keeps his hand out like it’s a job. 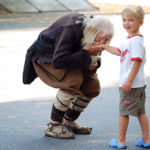 But, Dobri Dobrev is not even a beggar. What many people didn’t realize until recently, is that he wasn’t begging for himself. It turns out that every penny that he receive through pan handling has been donated to worthy causes. The money he collected over the years, nearly 40,000 Euros (over $50,000) has done to restoring Bulgarian monasteries and churches. Money has also gone to pay the utility bills of orphanages. Dobri Dobrev is called a Saint. Dobrev lost his hearing during World War II. He has lived mostly on his Government pension. He is called a Saint. He respects people. Yes, he may see much of the world around him as selfish. But he doesn’t let it bother him. He, instead, sets a positive example, walking 25 miles per day, smiling and giving. It makes me smile. I love it. You see how his joy and passion for his cause fueled his mission and burns away any possible judgments he could have. This is a core in Goodology we talk about because all the energy is good. The only ‘negatives’ are resistance to that good. Living in truth with the principles of the greatest currency seems to allow a long happy life. On the surface Goodology is kindness, compassion and good acts. That makes sense from a word that means, “the study of good.” Giving, kindness, caring, being thoughtful and supportive are all part of the package.